Spring and Summer is the time to enjoy outdoor activities however, mosquitoes and other insects are a plague and can definitely ruin outdoor fun. 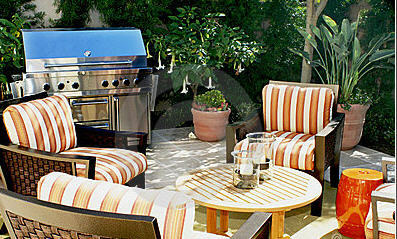 Mosquito repellent sprays are a short-term solution to your mosquito problems. Mosquito Magnet is the leading mosquito control system in the consumer/residential market and the only long-term solution scientifically proven to effectively reduce mosquitoes and other biting insects. Humans breathe and inhale a gas call carbon dioxide and the combination of carbon dioxide, the warmth of our breath and the scent of our skin creates temptation for mosquitoes. The Mosquito Magnet was designed to mimic the way mosquitoes and bugs are attracted to humans. The Mosquito Magnet attracts mosquitoes and bugs into the bug bag what they are trapped and dies within 24 hours. The Mosquito Magnet is available in '3' models. 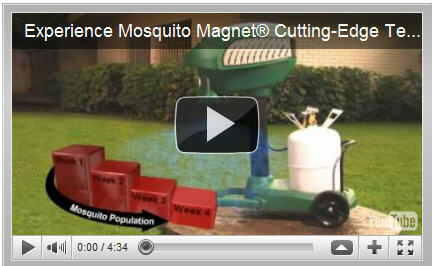 The assembly for the Mosquito Magnet is extremely easy and fast, click the video below to view the demonstration.